Learn how to surf in Morocco's safe beach breaks or improve your surfing on one of the many world class right-handers to find here. Our experienced and friendly surf coaches will guide and teach you every step of the way. Relax at our comfortable and cosy Berber beach house in Taghazout beach side where our friendly and welcoming staff will make sure you have a memorable Moroccan surf holiday. “This place is incredible. Super nice staff including the owner. Everything was perfect - from the stunning view from the rooms and terrace up to the delicious food." Hashpoint Surf Camp offers different surf school & yoga packages for all levels. Our patient and experienced surf instructors will help you reach that next one. there is something here for everyone! Arrival on any day! Learn to surf at a safe beach break or improve your surf in Morocco’s famous green waves. Our friendly and experienced surf instructors will help you reach the next level. 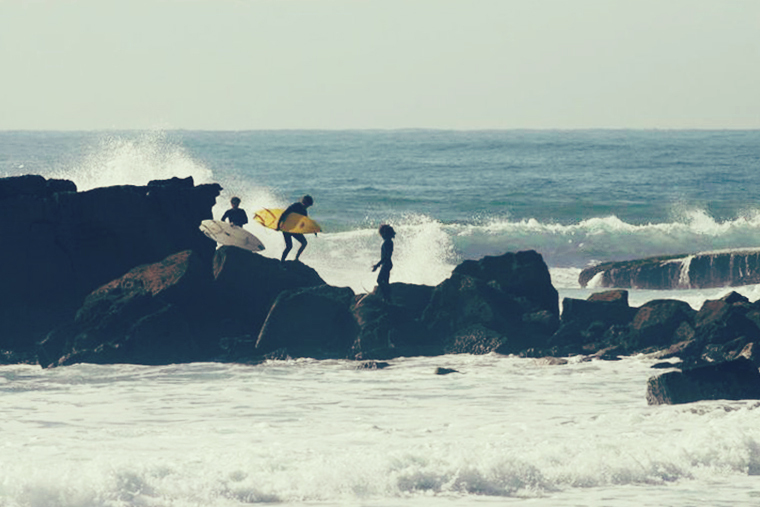 Join our experienced, local surf guides in their daily search for the best waves along the Moroccan coastline. And with 10 local surf spots, you can be sure to find some awesome waves. Surf and Yoga, combining daily surfing and rooftop yoga classes four times a week. Unwind at the end of your surfing with a relaxing yoga session and get ready for the next day. Our surf house is located at the beachside of Taghazout, a stone’s throw away from world class beach breaks like Hash Point and Anchor Point. Hashpoint Surfcamp is located at the beachside of Taghazout, a charming fishing village famous for its food and hospitality. And most important, world class waves right on its doorstep. With 8 rooms we keep an intimate and cosy feeling and we guarantee you will feel right at home. All rooms have an front row ocean view and the crashing of the waves will surely sooth you to sleep. Choose from a bed in a shared twin/triple room, double room or enjoy the more comfortable en-suite room with private bathroom. All of which have access to the great camp facilities and of course the sun on the terrace and the beautiful view over the ocean. Our High speed internet makes it possible for people to work in between surf sessions. We know that surfers like to travel much and are willing to jump on the next plane when the swell is firing. These date fixed promotions will help you reach that surf lifestyle! * These offers are per person & only valid with a minimum stay of 7 nights unless stated different, and only apply to the mentioned dates above. Get a sneak peak on our blog and Instagram account before you arrive! And when you are here, please tag us in your holiday pictures for the chance to win a free surf holiday!